Quick thinking by the bus driver was vital. 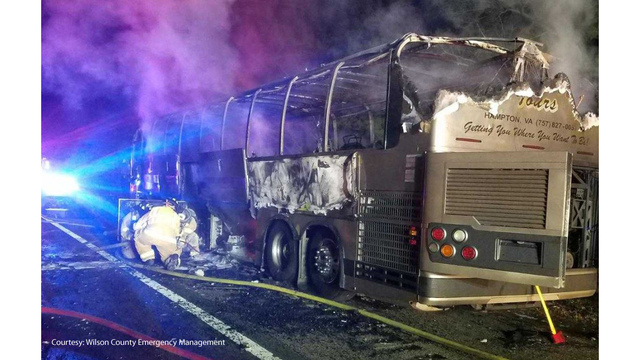 Members of the Hampton University track and field team narrowly escaped serious injury on Saturday night after their bus burst into flames. All 41 of the student-athletes aboard were able to get off the bus in time according to WTVD news before the explosion. The incident happened on Interstate 95 in Wilson County, North Carolina. The team was traveling back from a meet at the University of South Carolina. The Wilson County Emergency Management posted on its Facebook page that the driver of the charter bus did an excellent job evacuating the students from the bus. No injuries were reported and a new bus was sent to get the students back to Hampton University. The Pirates continue to win on the road in the post season.